I can’t tell you how many posts I have written – in my head – lately, but today I had an ‘oops’ moment while I was baking and I thought I might share it with you. This week I have been doing a little baking for the Beatson Cancer Charity ‘Bake it for the Beatson’ Fundraiser. Yesterday I made a tray of Millionaires Shortbread and today, muffins. I was super-organised and had everything weighed out, ready to go first thing this morning. Breakfast first, then mix everything together for the muffins. Everything going according to plan and I was just about to pop them in the oven when Graeme asked me what the butter at the back of the AGA was for. OOPS! I confess that was not actually what I said but I’m far too much of a lady to repeat what I did say. Very quickly I scraped the mix out of the cases and mixed in the melted butter and into the oven they went. 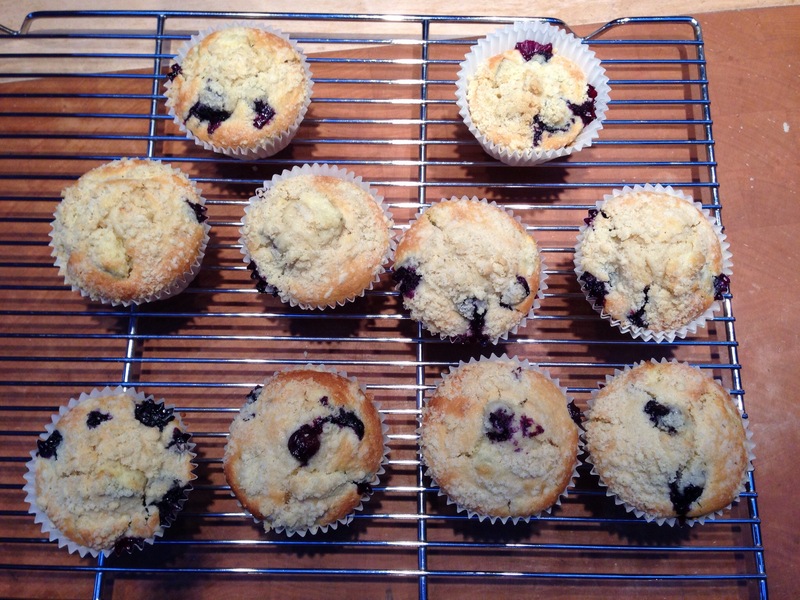 For those that who may have eaten these muffins today, don’t worry, I tasted one at home and they were good … just not quite as good as the ones I made last time. Sorry, but it is all for a very good cause. I left one without butter just as an experiment and actually if you had to manage without it, you could. I couldn’t tell by looking at them which one had no butter in it either – just as well I made a wee snip into the wrapper so I would know – otherwise I might have to have eaten them all! Oops indeed! You have made me laugh. I like your blog too! Thank you for visiting. cook with me . . .
my food . . .